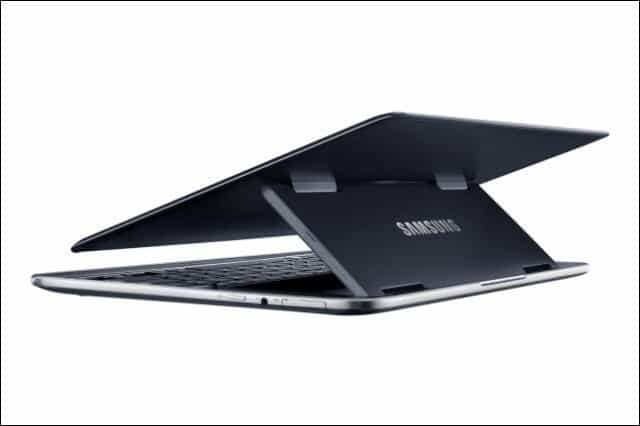 The ATIV Q was, probably, the most interesting product that Samsung has launched at its Premiere 2013 event in London. 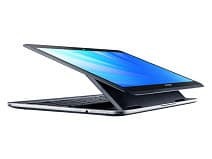 The ATIV Q is a 13 inch hybrid device that runs Android 4.2.2 Jelly Bean and Windows 8 together, with seamless switching. 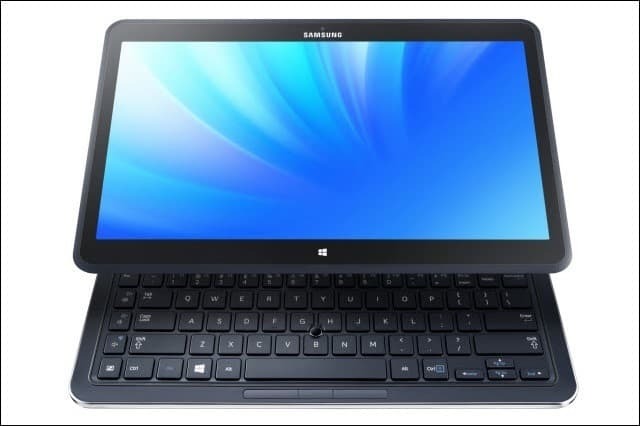 The Samsung ATIV Q certainly isn’t a small device, and it can be used to replace a laptop at any given moment. I’m saying this because it has a 13.3 inch display and (this is a really groovy part), the resolution is no less than 3200 x 1800! The device is powered by an Intel Core i5 CPU and 4 GB of RAM, as well as Intel HD Graphics 4400, and has a 128 GB SSD for data storage. With these specs, this thing should be very fast but that’s not the greatest part – the greatest thing is that it dual-boots Windows 8 and Android 4.2.2 and you can switch between the two at any given moment, by just pressing the Windows button. Since it has a keyboard, too, it can be used comfortably as a laptop, and then, with the keyboard hidden under the display, you can switch to Android and play a game or run your favorite app. The S Pen stylus is also present on board, meaning that you’ll be able to perform a variety of useful actions — reading titles in a Flipboard category without actually accessing it for example. You can on Samsung Galaxy Note devices. All in all, a very interesting device and, just so you can get a better idea as to what this baby can do, take a look at the video below – you’ll see Patrick Povel, head of European ATIV Marketing at Samsung Electronics explaining the details, together with TV presenter Jason Bradbury, the MC of the Samsung Premiere 2013 event, which took place in London. They’re a rather quirky duo on stage, so you can laugh at that, and see more about the new hybrid. The video will also allow you to see the rest of the event, in which Samsung has shown its newest products, including the new members of the Samsung Galaxy S4 range – Active, Zoom and Mini, as well as the new Galaxy NX camera.